[S185] Property Titles. ; PROV (Public Records Office Victoria), Lease 685-957 - Richard Armstrong Crouch of No 456 Cancery Lane Melbourne Solicitor. [S185] Property Titles. ; PROV (Public Records Office Victoria), Lease 685-957 - John George Trinham of Fairview Beaconsfield Gentleman - this lease cancelled 14 Jul 1896. [S185] Property Titles. ; PROV (Public Records Office Victoria), C/T 2621-090 - John George Trinham of Beaconsfield Gentleman - title dated 14 May 1896. [S16] Newspaper - The Age The Age (Melbourne, Vic. : 1854 - 1954), Sat 9 Apr 1949, p2. [S38] Index of burials in the cemetery of http://www.gct.net.au/deceased-search/,. Death-Notice* 21 Aug 1950 HOLT. -- On August 19, at his home, 16 Sidwell avenue, East St. Kilda, Frederick Elwell, beloved husband of Muriel Holt and dear father of Ronald and Gordon, loved father-in-law of Audrey, and loved grandfather of Jillian, Geoffrey. Frederick. -- Some day we will understand. HOLT. 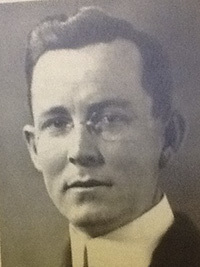 -- On August 19, Frederick Elwell Holt, loved son-in-law of Mr. and Mrs. James Rea, of Hampton. HOLT. -- On August 19, Frederick Elwell Holt, dearly loved brother of Mabel (deceased), Marion (Mrs. Anderson), Elwell (deceased), Ellen (deceased), Victoria (deceased), and Winifred Holt. [S11] Newspaper - Argus 10 Apr 1920, p13. [S185] Property Titles. ; PROV (Public Records Office Victoria), C/T 2853-461 - Frederick Elwell Holt of 16 Sidwell Avenue St kilda Manufacturer - C/T 6577-271. [S185] Property Titles. ; PROV (Public Records Office Victoria), C/T 6577-271 - Turberville Llewellyn Thomas of Upper Beaconsfield Farmer. [S11] Newspaper - Argus 21 Aug 1950, p17. [S11] Newspaper - Argus 21 Aug 1950, p7. [S8] Queensland Government Birth, Death & Marriage Indexes "via ancestry." [S185] Property Titles. ; PROV (Public Records Office Victoria), C/T 3880-980 - Philip Francois Herga of 317 Collins Street Melbourne Watch Maker and Jeweller. [S185] Property Titles. ; PROV (Public Records Office Victoria), C/T 1840-978 - Philip Francois Herga of 317 Collins Street Melbourne Watch Maker and Jeweller. [S185] Property Titles. ; PROV (Public Records Office Victoria), C/T 3880-980 - Sydney Albert Cheney of Flinders Street Melbourne Motor Car Importer. [S185] Property Titles. ; PROV (Public Records Office Victoria), C/T 1840-978 - Sydney Albert Cheney of Flinders Street Melbourne Motor Car Importer. VPRS 28/ P5 unit 357, item 685/719. [S80] Ancestry - Family Tree, Cheney Family Tree - Owner: hatchardjennifer. [S185] Property Titles. ; PROV (Public Records Office Victoria), C/T 4038-418 + C/T 6119-603 - Sydney Albert Cheney of 22 The Ridge Canterbury Motor Car Importer - C/T 6683-491. [S353] Beaconhills Country Golf Club, Beaconhills Minute Books, Minutes 10 Nov 1947 - subject to completion of application form. [S353] Beaconhills Country Golf Club, Beaconhills Minute Books, Beaconhills Committee Meeting Minutes 9 Feb 1948, p29. [S353] Beaconhills Country Golf Club, Beaconhills Minute Books, Beaconhills Committee Meeting Minutes 18 Aug 1948, p46. [S22] Victorian Government. BDM Index Victoria (online) "#D7608/1965 - Place of birth Mount Barker South Australia." [S63] South Australian Government. BDM Index South Australia "registered as Burtha." VPRS 7591/ P3 unit 627, item 637/925. 19 Jul 1893, FRIDAY, JULY 28th, 1893. WM. BRISBANE (under instructions from John Veevours, Esq.) will offer by auction at his residence; Upper Beaconsfield; on the Main Gembrook Road, better known as Beaconsfield North—The whole of his first-class household furniture, comprising : Valuable Paintings, Marble Figures, a magnificent Organ, Book Cases, Extension Table, Tables, Chairs, Carpets, Curtains, Crockery, Cutlery, &c; ALSO A number of Horses, Cattle, Buggy and Harness, Plants, and numerous other articles. MUST BE SOLD. NO RESERVE. Sale on FRIDAY, JULY the 28th, at 12 noon. 30 Sep 1893, OLD COLONISTS' ASSOCIATION. [S36] Inward & outward passenger lists to and from Victoria. Series: VPRS 14; 7666; 7667; 7786); PROV (Public Records Office Victoria), B001 001. [S185] Property Titles. ; PROV (Public Records Office Victoria), C/T 1480-942 - David Thomson to John Veevers of High Street Prahran Estate Agent. [S66] Berwick Shire Rates, 1870-1965 Veevers paid rates for Lots 16+54 from 1889/90 (House, NAV 60) until 1892/3, then Land Mortgage Bank, and he may have remained as tenant for a time. Owner Land Mortgage Bank through to 1899/00 (NAV reduced 40, then 25, then 20). Then Eliza Knapton 1909. [S185] Property Titles. ; PROV (Public Records Office Victoria), C/T 2089-707 - Stanford Chapman to John Veevers of Gembrook Road Beaconsfield North Gentleman. [S185] Property Titles. ; PROV (Public Records Office Victoria), C/T 1480-942 + C/T 2089-707 - John Veevers took out a mortgage from The Land Mortgage Bank of Victoria Limited. [S185] Property Titles. ; PROV (Public Records Office Victoria), C/T 1480-942 + C/T 2089-707- The Land Mortgage Bank of Victoria Limited is the owner when the property was next sold. [S11] Newspaper - Argus 12 Feb 1861, p4. [S12] Newspaper - South Bourke and Mornington Journal 10 Aug 1892, p3. [S12] Newspaper - South Bourke and Mornington Journal 19 Jul 1893, p2. [S11] Newspaper - Argus 30 Sep 1893, p12. [S14] Newspaper - The Advertiser (Adelaide), 15 May 1894, p3. Marriage* Spouse: Mary Ann Roberts. Nova Scotia, Canada. 20 Dec 1896, OLD TIME MEMORIES. THE OVERLANDERS IN '38. When the (news?) of the fight at the Winding swamp between Faithfulls Party and the blacks? as brought into Melbourne by Crossb'y it caused a general feeling of alarm, for everyone was more or less interested everyone v - more or less interested in the fate of the Overlanders. Several parties were known to be on the road, and it was naturally supposed that if one of them was attacked and slaughtered the rest would soon share the same fate, for the blacks could never resist the temptation offered by whole flocks of jumbucks." The details of the affair led people to suppose that several tribes had returned to make the attack, and if that was the case, there would probably be a general rising among them, and every station mi would become a scene of plunder and bloodshed. Crossley's narrative placed Captain Lonsdale in a very diiiicult position ; his military instincts were contrained by stringent orders from headquarters, but if be had been let free to act as he pleased, what could he do when he had only seven mounted police and a garrison of thirty-two soldiers? He had troule enough on his hands already. His only gaol a wooden lock-up) had just been burned to the ground by two ingenious black fellas confined in ti for stealing potatoes. One of them under a pretence of lighting his pipe asked a soldier in the guardhouse oliwiy for a light, and as soon as he got it, in the shape of a fire stick, set fire to the logs, escaping through the breach with his friend. But as something had to be done at once, Lieut. Smith was despatched with the police to the Ovens, to capture the murderers, if he could do so without firing a any natives exept in self-defence After a hard ride, they came upon a blackfellows' Camp, where he saw about 300 of them sitting round a huge fire, at winch one of Faithfull's bullocks was being roasted. As soon as the police were seen, they started up, brandishing their spears, and shouting defiance. The Lieutenant endeavoured to get on speaking terms with them, but they were not inclined to discuss the matter, and he bad to beat a retreat. His report did not tend to restore confidence in Melbourne, and as nothing further could be done there, Captain Lonsdale contented himself with refer ing the matter to Sir George Gipps. News travelled slowly in those days between the two cities, so slowly that nothing was heard in Sydney of the massacre for more than a month after it occurred. The first account of it appeared in a newspaper on the 21st May, and that was obtained from s stray overlander, who had just come in. The report caused such an alarm among the stockowners that they looked at squatting in Port Phillip as hopeless, for some time previously the blacks on the Goulburn and at other places had been so aggressive, and the Government so helpless, that it had become a question whether any station beyond the Hume could be held against them. Day after day letters were receeived in Sydney which revealed the terribe state of uneasiness existing at the outposts. We have only to look at a few of them to realise the position. In one from Melbourne, dated 8th May, 1838, the writer said:— "The natives have driven John Gardiner from his place (Gardiner's Creek on the Yarra), only six miles from Melbourne. Last night Captain Lonsdale had a personal grapple with one of them. There has been the devil to pay here." Another dated from the Hume, 15th May, gave the writer's personal experience at one of the stations:- " I have got back here after great labour. I brought away all the cattle and sheep and everything else of any value. I was very sorry to he obliged to leave my station, but it would have been certain death to remain with eight men and one musket, and ol,u up. Faithfull and Bowman have left their cattle running about wild, and Colonel White buried his property in a hole dug in the ground. They fled and left me alone, after advising me to leave everything and fly too. I brought everything away, even to a calf which a WB cow had dropped the very night before I intended to start. To Mr. O'Brien the sheep are with me and are all right. I will write to him as soon as I can spare one hour's time." The state of affairs was tersely summed up in one of the newspapers :—" Every fresh arrival in Sydnney adds to the melancholy list of outrages committed by the blacks, post after post we are furnished with harrowing tails of the waste of human life and the destruction of private property. Latterly the overland route has been virtu ally abandoned, and several of the more distant stations on the Hume and Goulburn have deemed it necessary, as a measure of precaution to return with their flocks and herds to the more thickly-populated districts for protection." THE GOVERNOR AND THE SQUATTERS. Sir George Gipps was not at all indifferent to this question and it's probable develop ments, but as his hands were so tied by his instructions that anything tike decisive action was impossible. 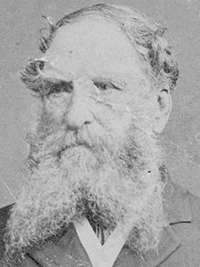 As soon as he heard of the slaughter he sent George Stewart, police magistrate at Goulburn, with an officer and twelve men of the the mounted police to the Ovens "to apprehend the blacks con cerned, if p0ssihle, but if not, to take some of the neighbouring tribes"—that is if they could catch them without firing a shot. The return of the party was anxiously awaited in Sydney, in the hope that they would be successful in capturing the guilty blacks, and restoring something like peace and quiet for the future. But after some weeks Stewart reported that the natives had simply laughed at them, and that nothing could be done without active measures. Disgusted by this ridiculous result, as it seemed to them, the squatters held a meeting at which a memorial to Sir George and the council was drawn up (June 8) with the view of stirring them into action. They pointed out that the outrages of the southern blacks had not been provoked, and that the time had come to put stop to them ; that if adequate protection was not afforded by the Government, the settlers would undoubtedly take measures to protect themselves ; and that, to avoid the painful consequences of such a course, effectual steps should be taken to prevent further aggression. It was come to this - if the settlement of the southern districts had not already ceased. It had become an undertaking of imminent danger to life and property. Sir George's reply (June 22) expressed his great concern and regret at the accounts he had heard, related what he had done and what lie intended to do, and referred to his instructions to show that it was entirely out of his power to act otherwise than he had done. The natives had to be treated like other subjects of Her Majesty, and any levying of war against them was out of the question. The mounted police had been increased by twenty-one, and twelve more soldiers hail also been sent. Captain Lonsdale had been tn structeii to send military parties into the in tenor, if he thought that was also intended to establish posts at convenient distances along the road from Yass to Melbourne, to keep the communication open, and the mounted police would be permanently in creased for that purpose, he add dtlmhe bad not thought it necessary to lay their memorial before the Council, because they could do nothing more than he could. So it happened that a select committee of that body, appointed 10 report on "the aborigines question." took notice of the troubles in the south, and confined their attention to a proposal for the removal of the remnant of the Tasmanian race from Flinders Island to New South Wales. Sir George was not the only Governor who was obliged to look on and do nothing while the blacks were driving tlie settlers before them. Three years later a party of over landers travelling with stock from Port Phillip to Adelaide was attacked by the Murray natives with even greater determi nation than that shown ut the Ninding Swamp; and in reply to nigent memorials Sir George Grey, tin n Governor of South Australia, sent out a force of 7-1 mounted notice .and a protector of aborigines, with orders to apprehend the guilty parties, if they could do so without tiring ; it not, they were to Seize any five or six natives they could find and bring them into Adelaide to be held as hostages. But the natives were not always dealt with in that fashion by subordinate officials. Towards the close of "37 some of the fort Mitctjuarie blacks, who had been very trouble some for some time, stole into a shepherd's hut during the night and speared four men who were lying asleep in it, killing them all. An armed party was sent out by the police magistrate, hut the blacks had retired into th- mountains, and nothing could be done. Some weeks afterwards a second party was sent, but with orders to shoot all the blacks thf-y could find whom they had any reason to suspect, and bring in their ears—lor which rewards were offered at so much for each. There was not much difficulty in carrying out that order, and a small bagtul was soon atterwards produced before the magistrate, who careful y counted the ears and nanded over 'lie money. So, at least, tne story went at the time. "My dear G—I have jotted down, as far as toy memory serves me, a few of the incidents connected with the old'-n times in the early pioneers' struggles of settlement in Victoria. Some time in 1838, I think, I, in conjunction with a few others, left New South Wales, starling from Goulburn Plains with sheep. My party left Lake George with the intention of being joined by the others on the road. It consisted of myself, my son-in-law, Farquhar M'Kenzie, and six assigned servants, having about 10,000 sheep. We were joined somewhere near Gunning by Mr, Peter Snodgrass, who was then employed by James M'Farlane, also with sheep. "After passing Yass I left the party and returned to Lake George to make arrangements to join them when they had taken up country. Dr. Dixon, Mr. Murdoch, James Campbell (alias Kilberry), and Kent Hughes then joined the party, and the sheep belonging to eacn of these persons were then mobbed together and travelled in this way till they reached the River Goul burn. The whole of the sheep camped on Hughes Creek. The gentlemen, all except Hughes, started off and proceeded up the Goulburn; M'Kenzie and Dixon taking their route up the King Pirrot Creek, and camping tor the night on the top of the highest hill, overlooking all the country of the Upper Goulburn to the north, and also overlooking all the country now settled at Kilmore.
" The blacks at this time were so numerous and wild that it was deemed necessary not to light a tire. These two gentlemen had to sit down all through a long night, holding their horses by the bridles, and bad nothing to cat except one small piece of damper. In the morning they ob served a smoke from a fire (near to a conical hill called Mount Piper) made by Colonel White, who, it appeared, preceded them by a few days, after having been driven away from the Ovens by the blacks just after the Faithfull battle of the Ovens River. "M'Kenzie and Dixon made their way from the hill where they were camped to this smoke, and to their great joy found a hospitable friend in Colonel White's gun yah. The colonel's son, Edward White, accompanied by his father, made them heartily welcome. They named the hill where they passed so uncomfortable a night Mount M'Kenzie,and returning to it, they crowed it, and came down on the King Parrot Creek. Here they met the rest of the party, who d^r roined to proceed further up the Goulburn in search of country. "M'Kenzie. with the consent of the others, selected the King Parrot; Dixon, for M'Farlane, selected the Cheviot Hills; Campbell selected n piece of country on the north side of the Goulburn, since called Gin Gin ; Snodgrass selected the Muddy Creek for himself, and a place now called Doogalook for M'Farlane; Hughes preferring to remain where he was, in chsrge of all the sheep be longing to the different gentlemen of the expedition. "These were the only settlers for three or four years after. The blacks were very ferocious in the neighbourhood of the Goul burn daring this time, and my shepherds were obliged each to carry a loaded gun with them while herding their sheep. The hutkeeper on these occasions was a'-o armed. "Early in '39 I came down i" company with my friend, Captain Dougall M'Lachlan. I drove a tandem on that occasion, and I think this was the first tandem, except Hawdon's, that came direct overland from Sydney to Melbourne.
" We, on that occasion, were not without incidents ; we were attacked near Gunning and Yass by a party of bushrangers, who, a few days before, stormed Gosnor's Inn, near Gunning, and killed Hume, the brother of the Hovell and Hume explorers. I drove at a rapid pace and escaped, but my friend, the captain, encountered three of them. He had a five barrelled revolver, 18in. long, and he, although fired at, pursuid them through the bush, firing at them. It appears that they were not prepared at that time for revolvers, and they kept retreating and calling out Police! Police! My friend came up with me on the road in company with his man servant, who was almost dead with fright. I was alone in my Stanhope. dressed in white, with a long duck gun ; a fine mark for them if my friend had not encountered them. "One of the bushrangers who attacked us was a noted fellow called Scotchie ; and, strange to say, one was Reynolds, a discharged soldier from the Ride Brigade. He was actually in the captain's company. I was one of the magistrates who committed him. He said to the Bench had he known who we were, he would not have molested us. They were all three hanged.
" I may mention that in coming towards the Ovens we met the fugitives of Faithfull's party, some of whom were speared and others killed; and we found Colonel White and his son camped on the Ovens, much alarmed. Faithfull's party was in front of us. "I was the last of the pioneers that left the Goulburn ; the rest, where are they? IN the early days of our history — and of the 19th century — in order to help populate and make this outpost in the Southern Hemisphere better known in the world, the Home Government offered free grants of land to army officers willing to migrate with their families. Among the first to take advantage of this was John Murchison, of the 96th Regiment, who landed at Sydney in 1833. With him were Admiral Gore and Captain Baker, old friends. Gore's son later left with the ill-fated Arctic expedition under Sir John Franklin, and was never heard from again. Murchison's first friend in New South Wales was Captain King, and others to whom he brought letters of introduction were Macarthur, Campbell (of Campbell's Wharf), and Terence Aubrey Murray. PROCEEDING to Parramatta, Murchison rented a cottage near the first Government House. He left his family there and went to the Goulburn district. He took up land about five miles from where Goulburn now stands, prepared a home, and settled down to farming, calling his place Taradale. Beautiful cedar was plentiful in those days, and later he built a fine residence. In 1837 Farquhar Mackenzie arrived in Sydney, and travelled with another man looking for suitable country in which to settle, and soon afterwards arrived at Taradale. Later Mackenzie entered into partnership with Murchison, and, purchasing sheep from the famous Macarthur flocks, went with men to Monaro. He found the climate too cold after long residence in Java, and decided to go to Victoria (which had lately been proclaimed a separate colony) with a party, amongst whom were Kent Hughes, Peter Snodgrass, Kelberry Campbell, and others. Leaving the rest of the party, he went some five miles farther on and found a creek, which he called King Parrot Creek. He decided to settle there, and called his place Kerrisdale after his Scottish home. There he was joined some years later by Murchison, whose daughter he married. Farquhar Mackenzie was the younger son of Captain Kenneth Mackenzie of Gairloch, Scotland, who had served in India, being present at the siege of Seringapatan under General Sir David Baird. LATER Mr. Murchison, on going to see the Victorian property, had an exciting experience with bushrangers. He him self drove the first gig tandem over the lonely bush roads, being accompanied on horseback by Captain MacLachlan. On the first day after leaving Taradale, in the dusk of the evening, when approaching Gunning, a gang of bushrangers appeared, intending, no doubt, to intercept the vehicle. Missing that, they fell upon Captain MacLachlan, who was armed with one of the first revolvers brought out — one of the old pepper-box pattern. He charged into the bushrangers, but missed. Mr. Murchison handed the reins to his servant and hastened to his assistance, when the raiders made off, apparently thinking that in the darkness they had come upon a party of police. He afterwards decided to sell his Goulburn property and join Mr. Mackenzie at Kerrisdale, trekking there in a caravan specially built for his wife and family, the servants travelling in bullock-drays. [S80] Ancestry - Family Tree, Mr B (N/M Line) - Compagnoni, M'Kenzie, MacRae, Murchison, Davis, West, O'Rourke, Gedye, Dangar, Chapman, Doggett, Stuart Owner: Jason Bennetts. [S11] Newspaper - Argus 21 Jun 1882, p1. [S14] Newspaper - The Sydney Mail and New South Wales Advertiser, 5 Aug 1882, p232. [S14] Newspaper - The Australasian, 20 Dec 1896, p25. [S14] Newspaper - Sydney Mail, 16 Oct 1935, p40.